YN 18750, Project Aster, 5000 Aluminium, has been sold in collaboration with Arcon Yachts who introduced the client. Project Aster started on speculation and is currently seven months away from delivery. This is the third contract signed in 2018 for a total of 190 linear meters and, even more impressively, 3,259 Gross Tons! 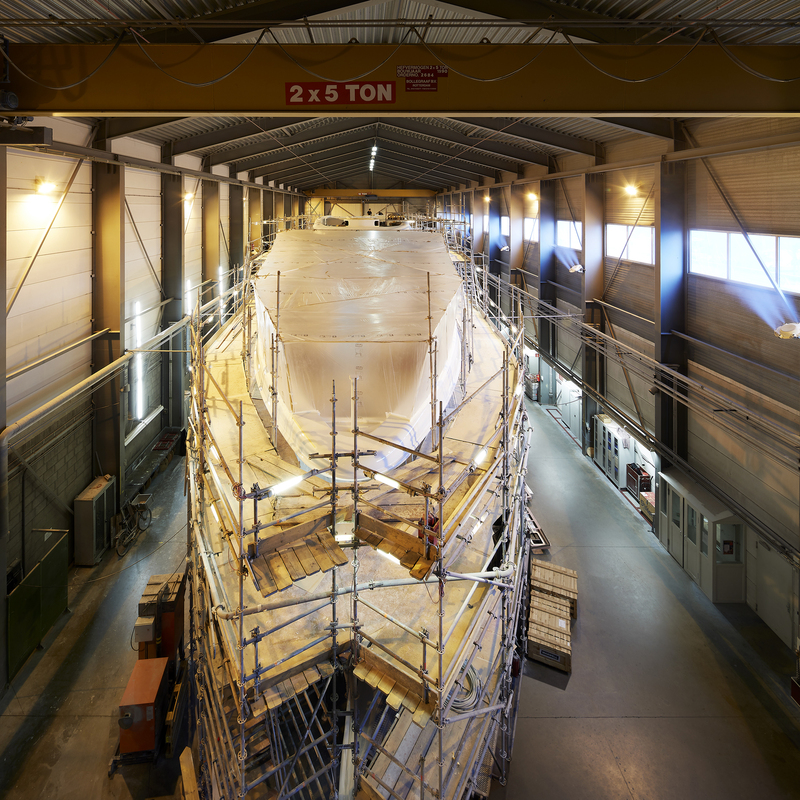 Thanks to its 40 years of experience, Heesen is able to build aluminium hulls to enormously demanding tolerances. 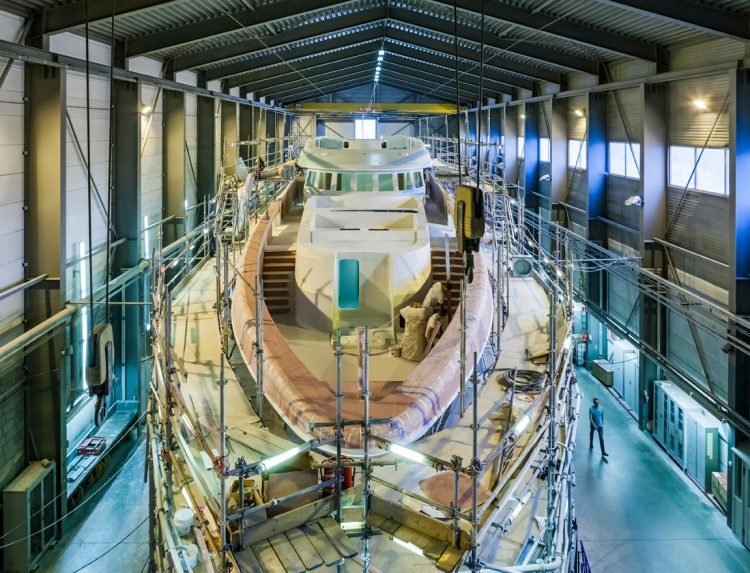 The in-house team of engineers and skilled welders have created a very slippery semi-displacement hull, that powered with two MTU 16V 4000 engines will deliver not only speed but also efficiency and a smooth ride in any and all sea conditions. Aster is a true blue-water motor yacht, with a transatlantic range of 3,100 nm at the cruising speed of 11 knots. The versatile layout comprises five lower deck suites and a master stateroom on the main deck forward, with the capacity for twelve guests serviced by nine crew.